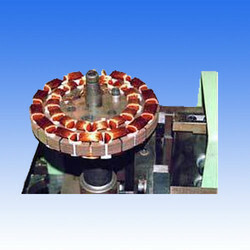 We are engaged in offering our prestigious clients a very high quality and premium range of Ceiling Fan Stator Coil Winding Machine. 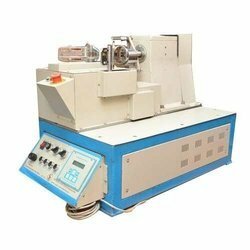 We manufacture and supply extreme quality CNC Ceiling Fan Winding Machine that is available in different specifications according to the customer demand. We are renowned in Ceiling fan manufacturing industries for providing high tensile strength & excellent functioning Ceiling fan Motor Winding Machine. 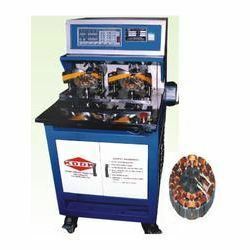 We do complete quality checking of these Winding Machines at various levels of production as to ensure exact specification and high durability with robust performance. Microprocessor makes easy to data setting and operating, and it has 1000 programmes, storing memory capacity. 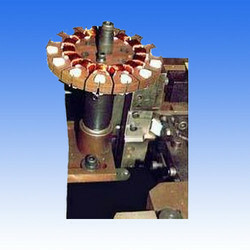 Nine winding parameter and five option makes it widely use. Three display units make the display during setting and running. Winding speed can be specified by using the front panel keypad, resulting in easy programming of multi-step, multi-speed settings. We are engaged in manufacturing and supplying our valued clients a very premium quality range of InsulaionPaper Inserting Machine. 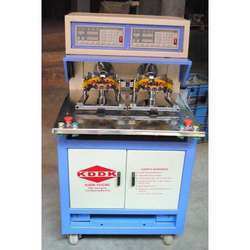 Our personnel also comply with the international quality standards and offer these machines in varied specifications. Our vast industry knowledge of manufacturing, supplying, trading, and exporting wide gamut of Celing Fan Winding Machines and allied products has empowered us to present Wedge Inserting Machines(TOP) to our clients. It is highly acclaimed for remarkable efficiency. It is precision engineered by using cutting edge technologies and offered at leasing industry rates to our valued patrons. We are highly reputed organization manufacturing, supplying, and exporting large assortment of Ceiling Fan Winding Machines such as Cnc Ceiling Fan Motor Winding Machines (Dual Drive). These find wide ranging applications in ceiling fan manufacturing industries. These are manufactured by using state of the art technologies. We manufacture these under rigid norms of quality and offer our customers at economical rates. 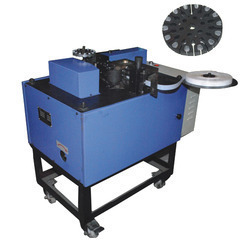 Insulation Paper Inserting Machines that we offer are designed to fulfill the requirement of Various Motor ndustries for Diffrent type of motors. These are available in different specifications as per the national and international industrial standards. 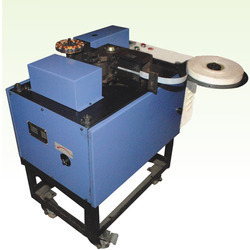 These Insulation Paper Inserting Machines are manufactured by supreme quality of raw material. We export these Paper Inserting Machines in various parts of the world at reasonable price. Leveraging on our immense industry experience of manufacturing, trading, and exporting wide assortment of Ceiling Fan Winding Machines we are presenting our clients Insulation Wedge Inserting Machines(BOTTOM) that are extensively ceiling fan applications. These are highly acclaimed for impeccable performance and are manufactured from the finest grades of metal alloys and other basic components. These are offered at leading industry prices. We are engaged in manufacturing, supplying, and exporting wide array of Ceiling Fans Winding Machines including Automatic Ceiling Fan Winding Machines. It is designed for flawless winding applications and used extensively in ceiling fan manufacturing industries. These are manufactured by using cutting edge technologies and are available at leading industry rates for our valued customers. 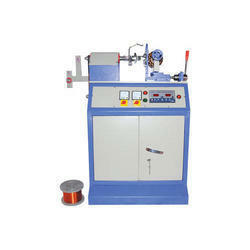 Looking for Ceiling Fan Winding Machines ?